GPCRs play an integral role in a wide range of biological pathways and are a crucial target for drug discovery. Many GPCRs are still classified as orphan receptors, which are GPCRs whose interacting ligand has not yet been discovered. 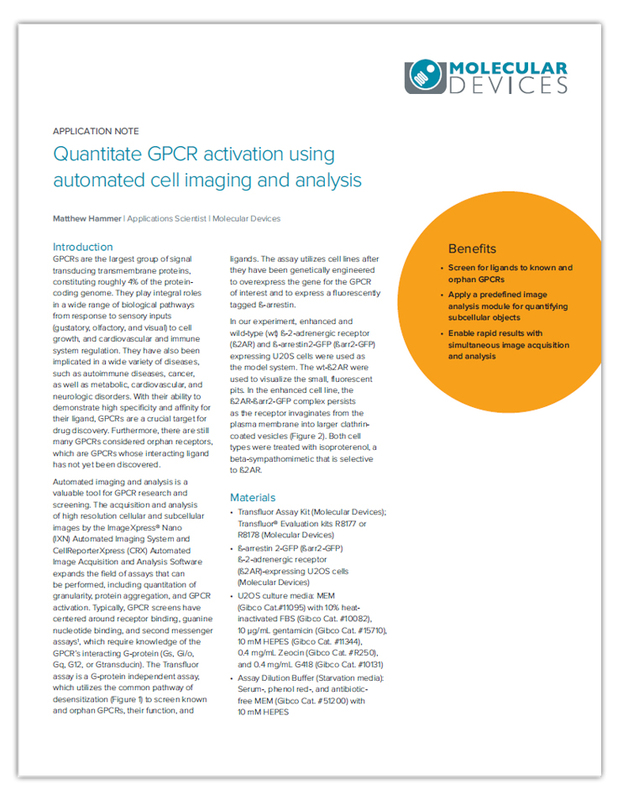 To enable a better understanding of ligand-GPCR relationships, automated imaging can be used to generate highly informative and biologically relevant phenotypic data.